Whether you're still tracking down the ultimate gift, looking to indulge in a little holiday cheer, or trying to step up your holiday photo game, there's one place you should go. 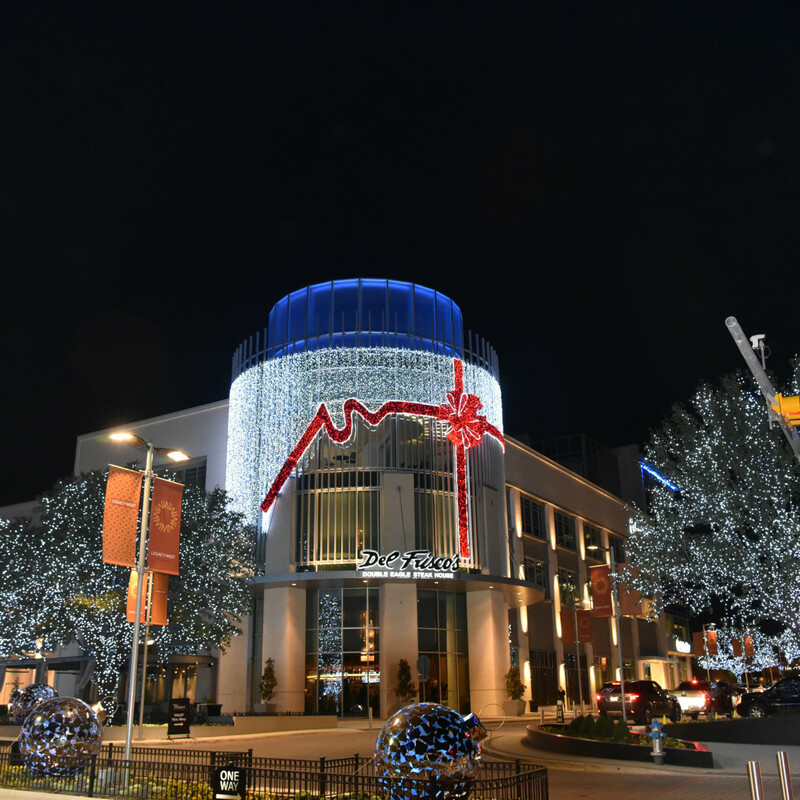 The luxury dining and shopping destination Legacy West in Plano has everything you need for the holiday season, including these 5 can't-miss attractions. Step into the oversize, lighted gift box and snap what might be the most memorable photo of the season. 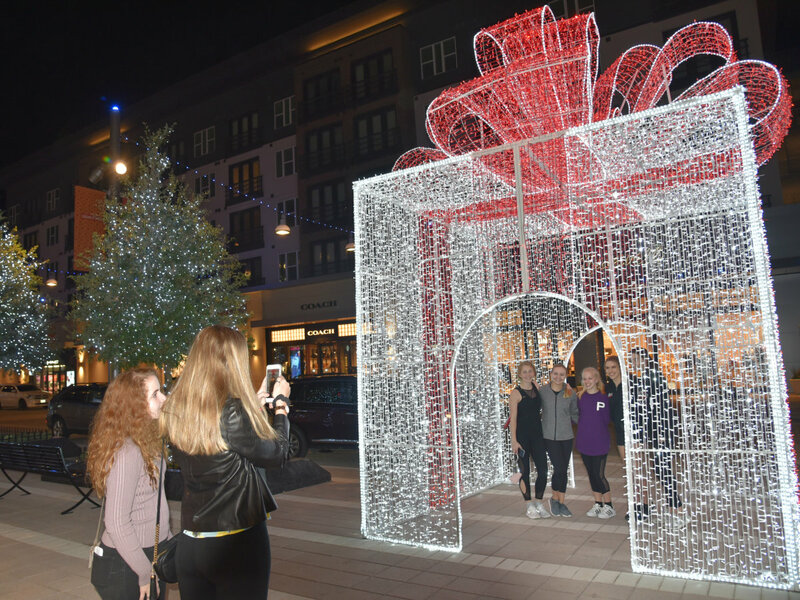 Don't forget to also enter Legacy West's social media contest, which awards weekly prizes for the best Instagram photos with the giant gift box. To enter, follow Legacy West on Instagram at @legacywestplano and hashtag #legacywest. A winner will be chosen each Friday through December 22. 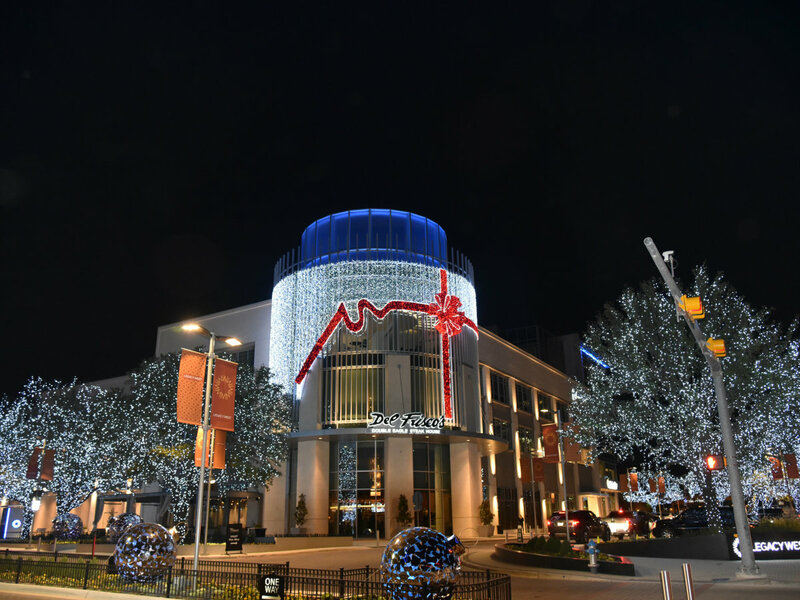 There are more than half a million LED lights strung all over Legacy West. 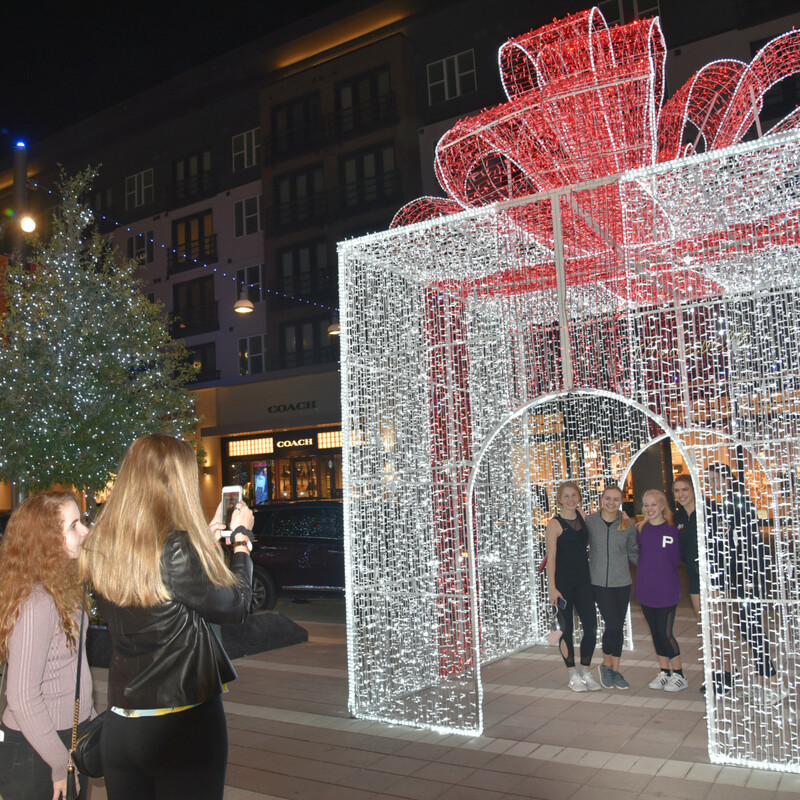 From the giant snowflakes along the parking garages to the illuminated red ribbon by Del Frisco’s Double Eagle Steak House to the life-size ornaments, you will have no problem finding the ideal spot to stop and pose or just enjoy the ambience while strolling around Legacy West. This Saturday, December 9, warm up at Filson, where there's whiskey-spiked hot chocolate, hot toddies, and Christmas cookies while you wait to have a vintage Polaroid taken with Santa Claus himself. 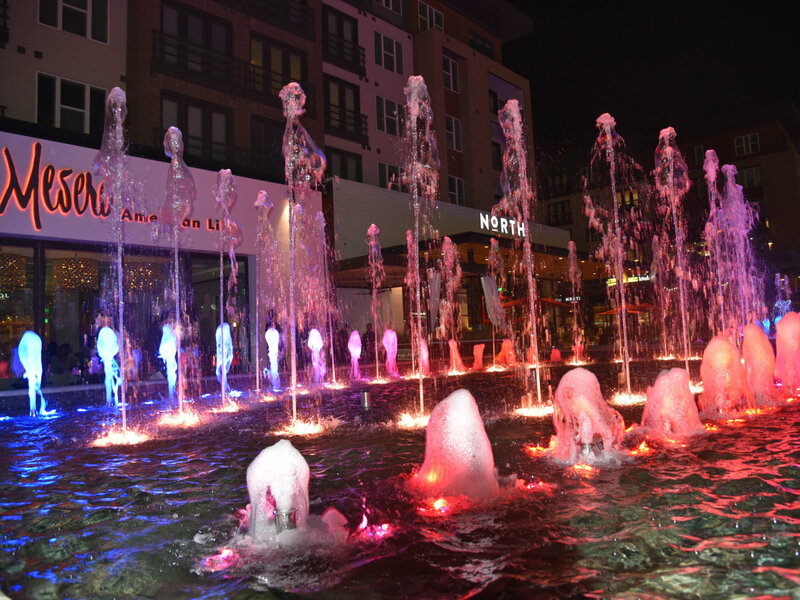 Las Vegas doesn't have the lock on spectacular fountain shows. 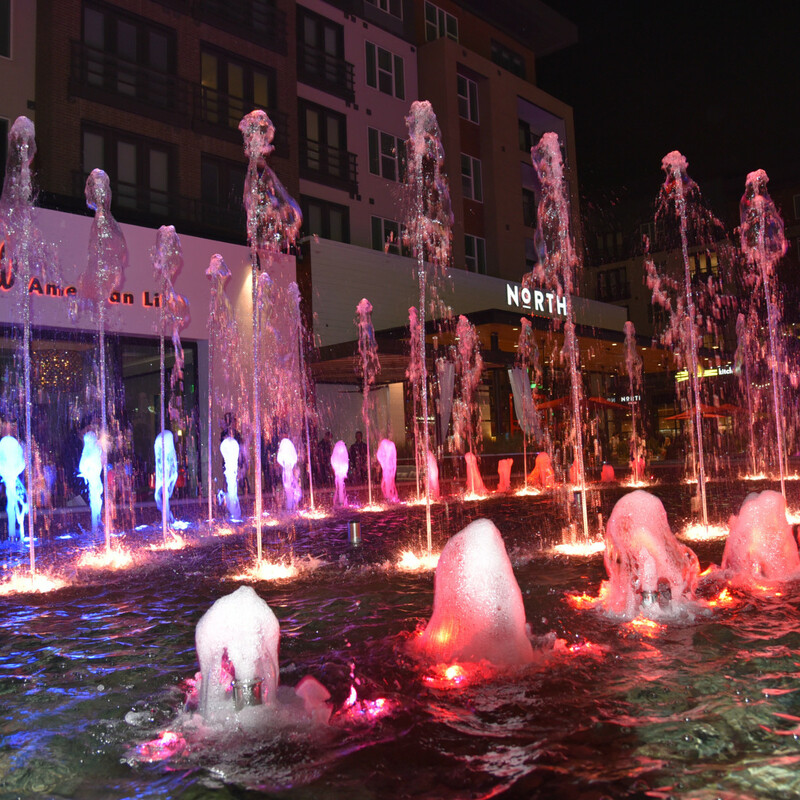 An amazing, choreographed fountain show occurs hourly, Monday through Sunday from 10 am-9 pm, at Legacy West. Thursday through Sunday, there are additional shows on the half hour, beginning at 5:30 pm through 10 pm. Listen to holiday classics such as Harry Connick Jr.'s "Jingle Bells," Michael Bublé’s "It’s Beginning to Look a Lot Like Christmas," and Bing Crosby’s "Winter Wonderland" and "Happy Holidays." 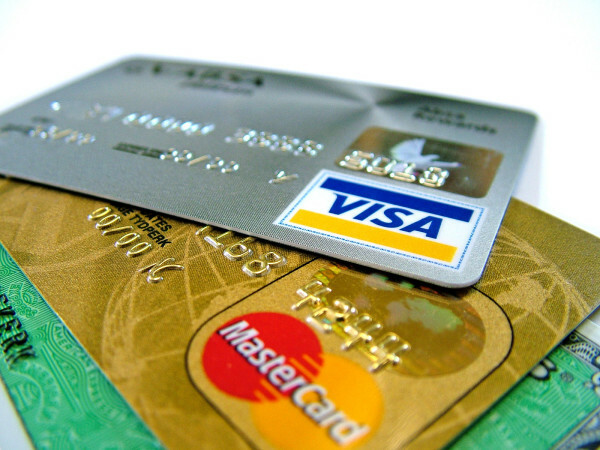 Some of the best retail stores in North Texas are here, making it a cinch to get something for everyone on your list. 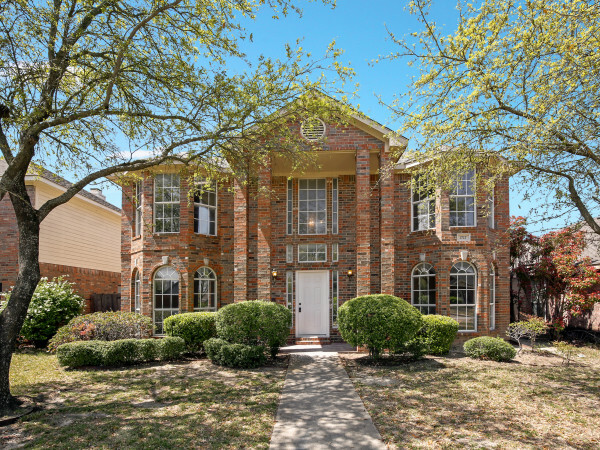 Pick up gifts at the only Texas outposts for Levi’s and Fabletics, something for the beauty lover at Sephora and MAC Cosmetics, a find for the fashionista at Coach and Johnny Was, and fantastic gifts for the guys at Pockets Menswear, Suitsupply, Bobonos, and the only Peter Millar store in DFW. Remember that even Santa Claus stops for milk and cookies. Take your own breather with a snack or meal at any of Legacy West's excellent restaurants, including Earls Kitchen + Bar, Taverna, North Italia, and Haywire. Or please many palates at once at the newly opened Legacy Hall, which has more than 20 different artisanal food stall options. You can even knock out two tasks at once by stopping into Barnes & Noble Kitchen, where you can eat and shop at the same time.